Located in the heart of Tanzania, Ruaha is the ‘other park’ on the Southern circuit. Ruaha’s relative inaccessibility means it gets far fewer tourists than the Selous and less than any comparable park in the Northern circuit. The reward of traveling this far into Tanzania? A wild landscape of baobab studded hills, rocky escarpments, and superb wildlife. Tanzania’s largest National Park is sure to wow any safari goer. Nearly 10% of Africa’s lion population lives inside the park! Ruaha safaris have amazing predator concentrations, large herds of elephant and buffalo, and a blend of game from Southern and East Africa. We arrived in Ruaha National Park directly from the romantic Selous Game Reserve. When we landed in the Msembe Airstrip we knew we were in for an amazing four days in Ruaha. The landscape, the air, the general feeling of being in Tanzania’s largest park was unlike anything we had felt before in Africa. We were truly on safari, without the mass crowds of the Ngorongoro Crater or the Serengeti. Ruaha National Park is the largest park in Tanzania contrary to what many believe is the Serengeti due to its sheer popularity. The park is approximately 20,226 square kilometers in size and is about a two-hour drive West of Iringa. The park is named after the great Ruaha River, which is 475 km long, and one of the main reasons the park is wonderful for game viewing. 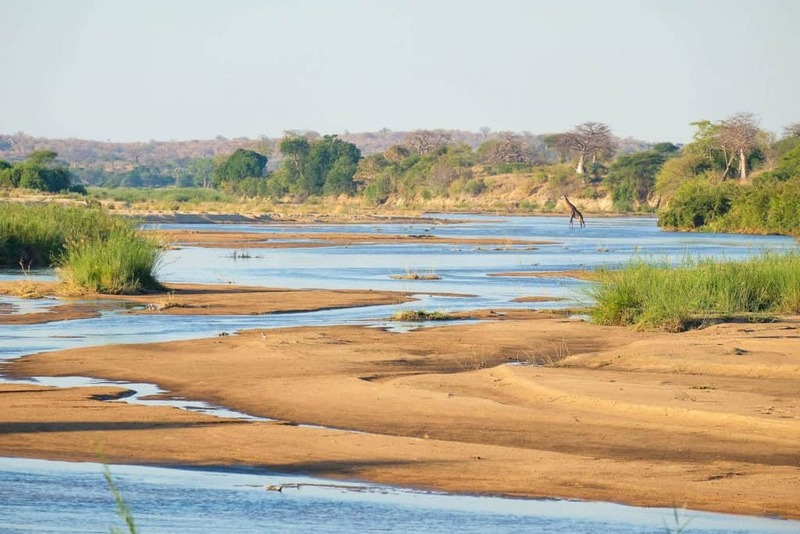 During the dry season, animals move to the river in search of water. This makes for excellent game density and viewing. 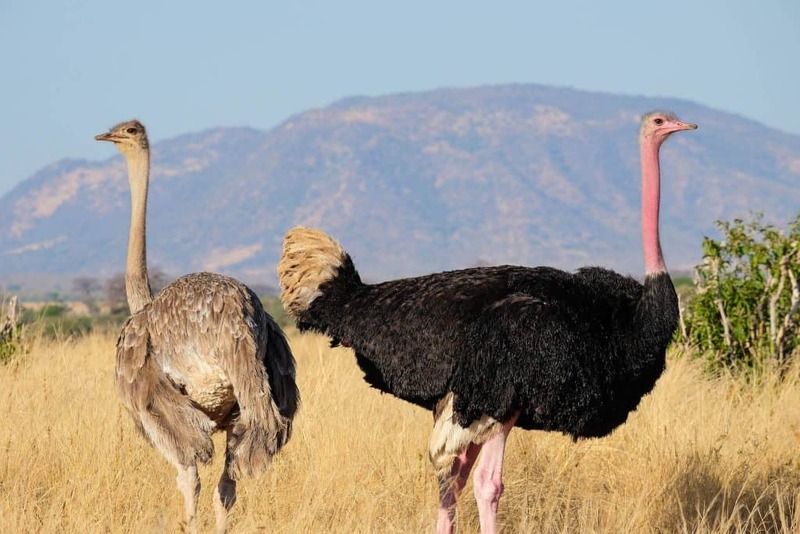 Ruaha is well known for its large elephant population and is a hotspot for birdlife. We have recently got into birding (thanks to the help of this book), and enjoyed catching all the 570 different bird species in the park. 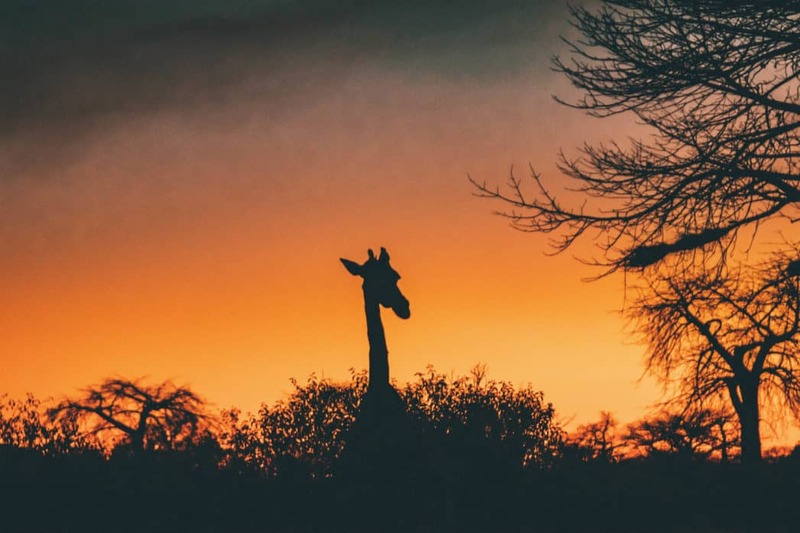 We spent four whole days in the park and saw several prides of lions, large herds of elephant, hyenas, buffalo, ostriches, giraffe, zebra, and the greater and lesser kudu. The start and end of each day in this park is spectacular. 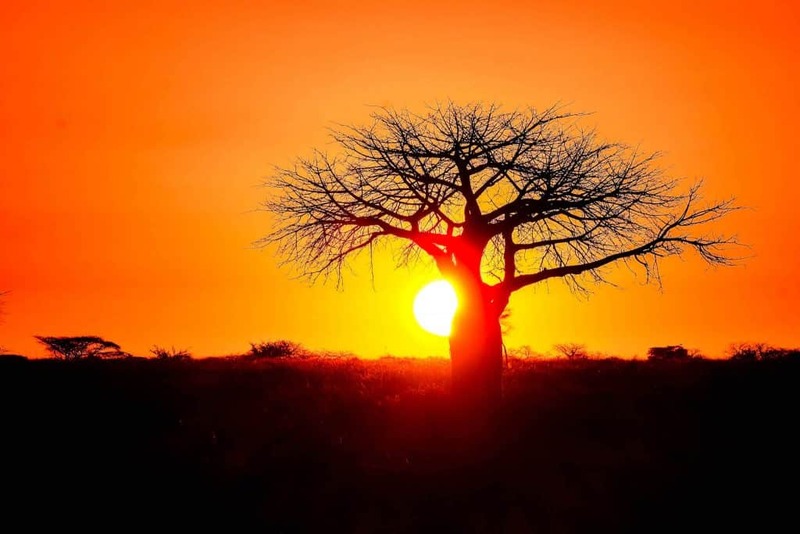 Sunrises and sunsets among iconic baobabs are mesmerizing. 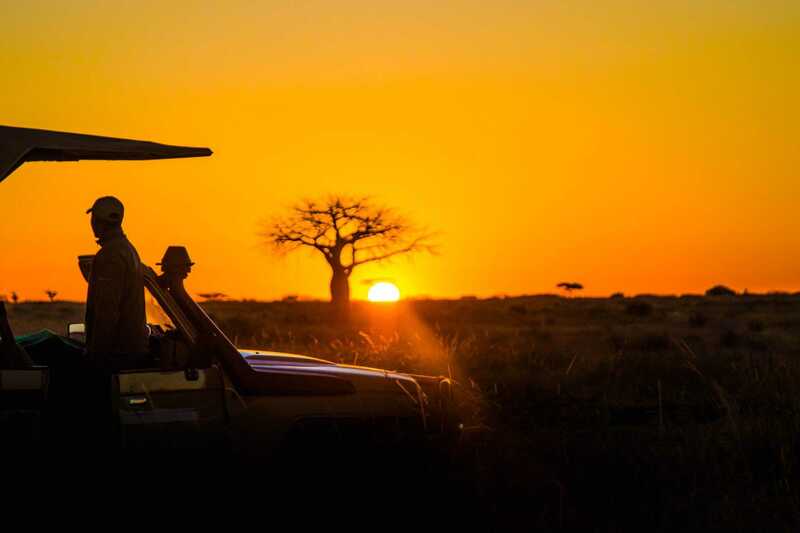 We can not think of a more fitting setting to enjoy a sundowner than Ruaha. Compared to other parks in Tanzania, Ruaha National Park fees are affordable. 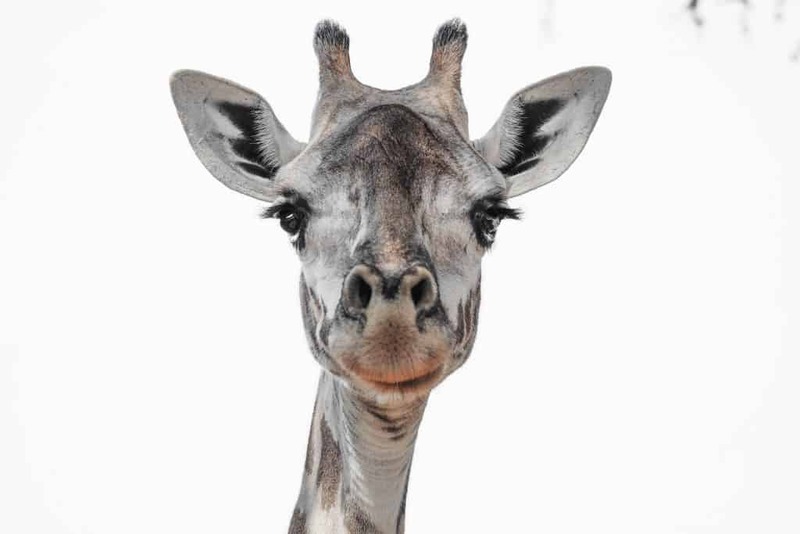 Ruaha Park fees are for a 24 hour period. Before our Ruaha safari we were told to prepare ourselves for baobabs and elephants. Within our first hour in the park that statement was evident. The park has more baobab trees in it than we have seen in all the parks we traveled to combined. When I asked our guide, Jon, why this was he exclaimed that it was because of the high elevation. 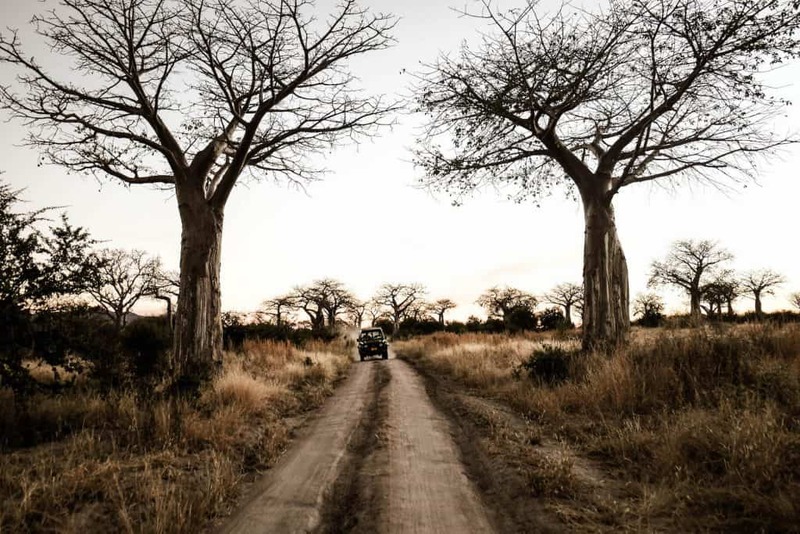 The constant sighting of baobab trees makes for a photogenic and picturesque African safari. Because of the many rivers, Ruaha National Park has a rich and diverse wildlife population. 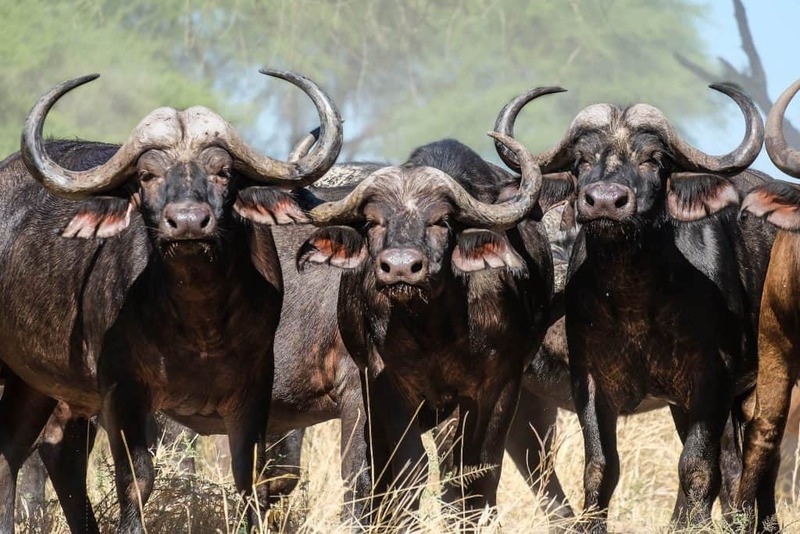 As far as animals go, Ruaha National Park has four animals of the big five. While they are absent of rhino, the park is the only park that has the lesser kudu species. You can also find rhone, sable, eland, impala, gazelle, reedbuck, hartebeest, and klipspringer antelope here. 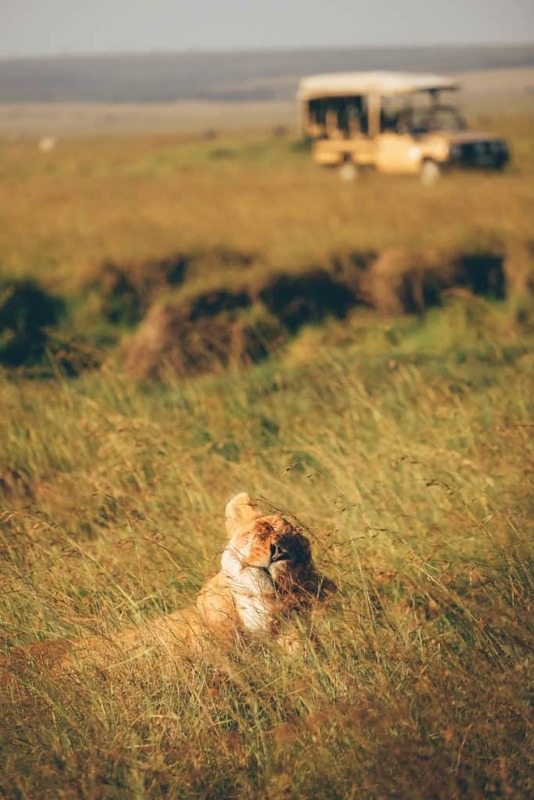 The park also has enormous prides of lions, herds of elephant, hyenas, and a healthy leopard and cheetah population. With all the rivers Nile crocodile and hippo are abundant. While on our walking safari we counted 21 crocodiles in one area of the river – now that’s one place I won’t be going swimming! Although, we never saw wild dogs in Ruaha, we were informed there are over 100 wild dogs in the park, so sightings are common. It is easiest to spot wildlife in the dry season. During the dry season, animals gather around water points. The decrease in foliage makes wildlife viewing easier. The dry season lasts from late June to October with the last rains ending in April. We visited during the first week of June and although it was tough to spot game from the thick bush, we still had excellent sightings. The effects of the impending dry season were on full display. 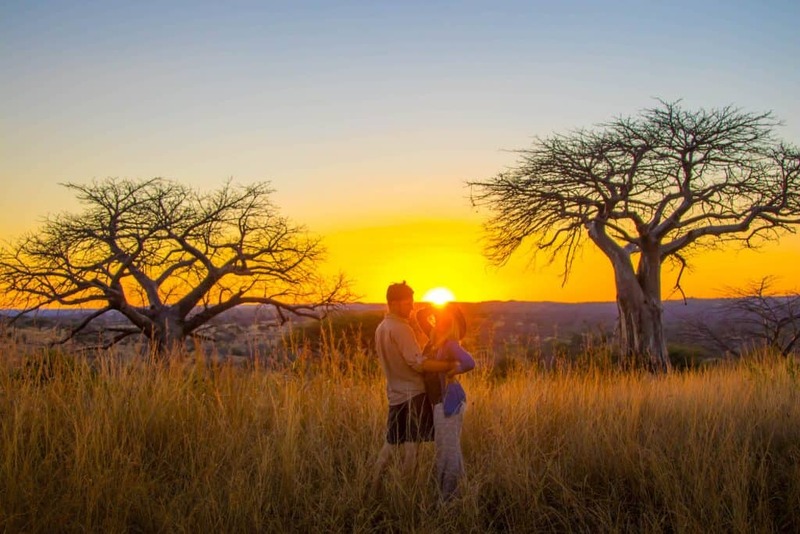 Where to Stay in Ruaha National Park? 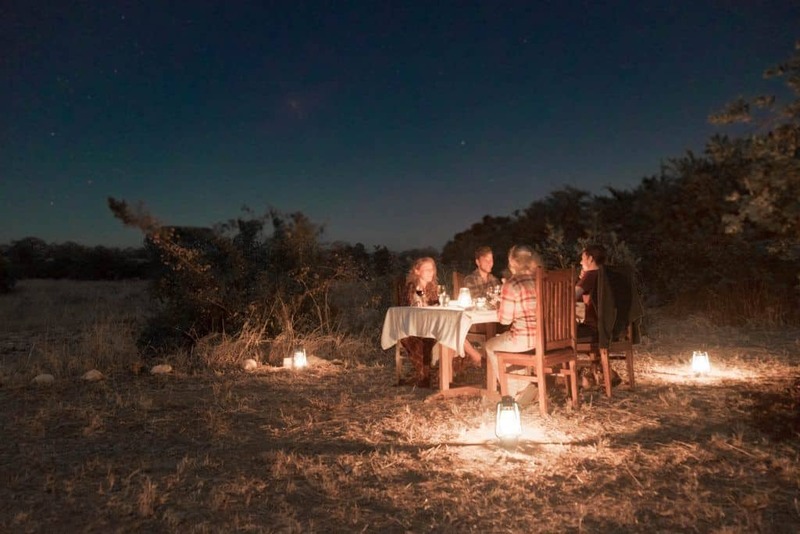 We called Nomad Tanzania’s Kigelia Camp home for four days while we enjoyed our Ruaha safari. 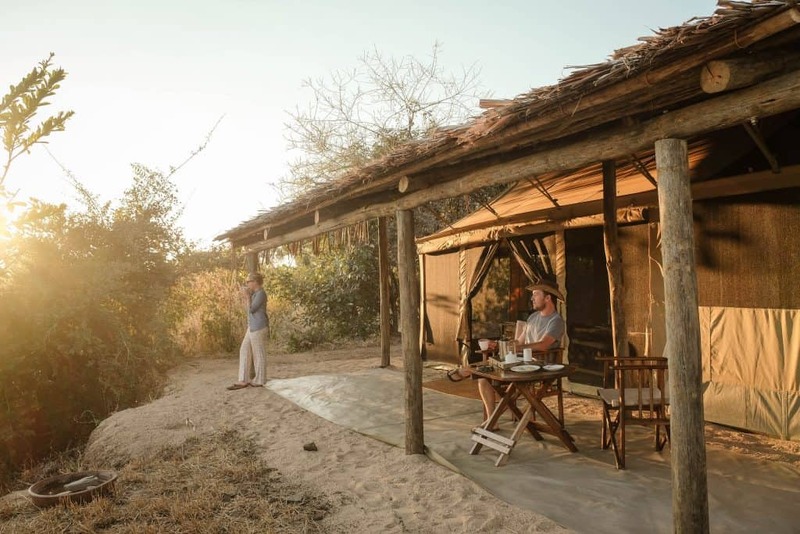 Kigelia Camp is a classic safari camp. There are no frills here, but it is comfortable and exactly what you picture for an African safari. Kigelia Camp is located along a dry river bed beneath Kigelia Africana trees. Each of the six tents is the perfect size for two people to enjoy comfortable beds and an outdoor seating area. It’s worth noting that there is also a family tent for children above 12 to enjoy with their parents. Each tent has a flush toilet and a classic outdoor bucket shower. All in an effort to preserve water a precious resource in the park. 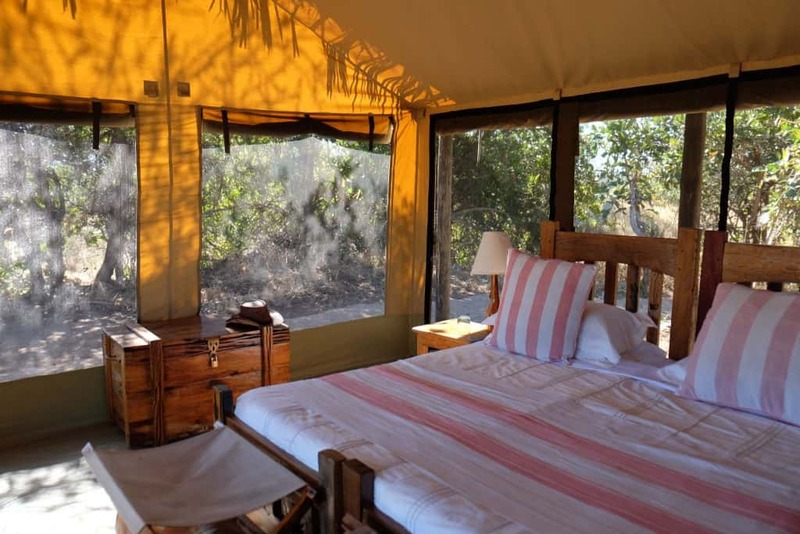 Staying in these tents allows guests to connect with the wild. Falling asleep to the sounds of hyenas and lions in the night is a memory never to be forgotten. The communal area at Kigelia Camp is intimate with a small lounge for tea and coffee and a fire pit. It was perfect to get to know your fellow safari goers with a round of gin and tonics. The communal area is where meals are served. We enjoyed light lunches under the canvas tent, and three-course dinners al fresco next to the fire. I loved that Kigelia Camp catered to all sorts of diets even though they are located in a remote area of the park. Kigelia Camp, for us, was the perfect place to enjoy our Tanzanian safari at. It was intimate, comfortable, and most importantly it has everything to offer. 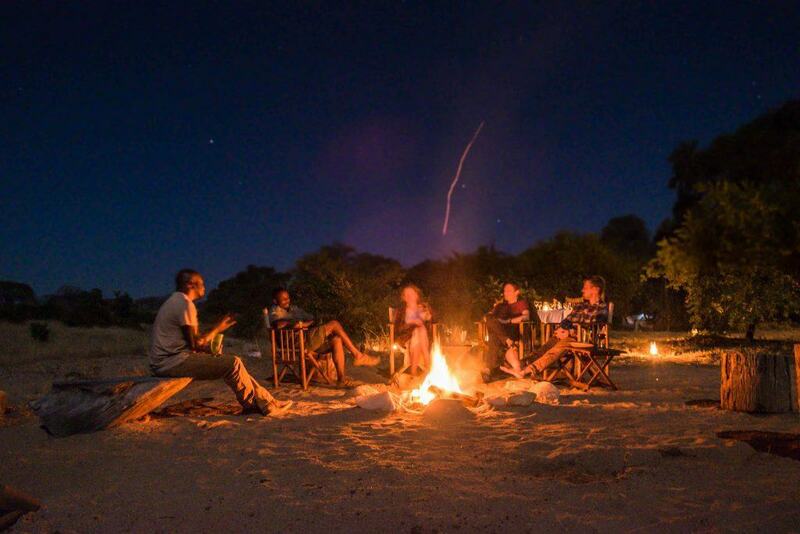 It is one of the only camps in Ruaha that is fully licensed for walking safaris and night game drives within the park. 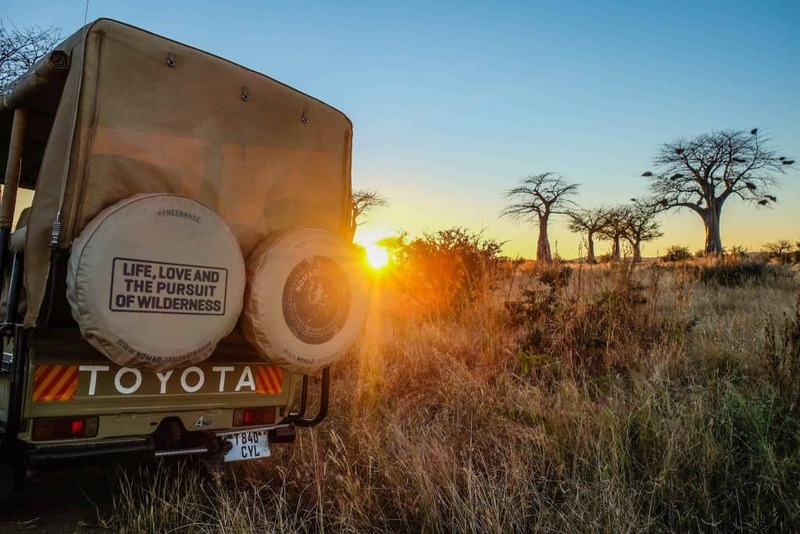 Game drives are standard at all lodges. 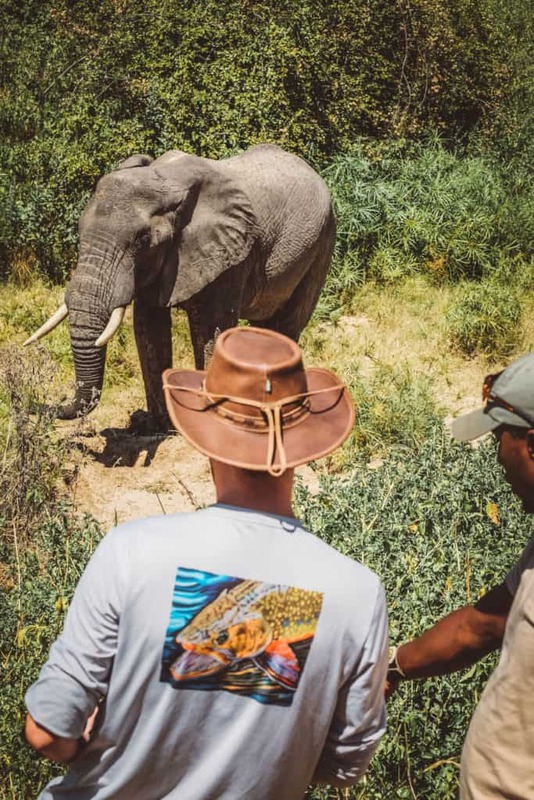 Our Nomad guide, Jon, was extremely knowledgeable of the bush and wildlife and stuck with us through every night game drive, bush walk, game drive, and bush breakfast making the experience much more personable and enjoyable. How to get to Ruaha National Park? When we had our car and were overlanding the continent we contemplated driving to Ruaha National Park from Iringa. It is possible to self-drive into Ruaha National Park. However, most safari goers will enter by air. The two main airstrips are Msembe and Jongomero. If you plan on staying at the fabulous Kigelia camp then the nearest airstrip would be Msembe. From Msembe airstrip it is about one hour drive through the park to reach Kigelia. Daily flights operate out of Dar Es Salaam, Arusha, and the Selous with Coastal Aviation. It’s also possible to connect in Dar and travel onwards to Zanzibar or the Serengeti. If you want to fly to Western Tanzania there are flights open on Monday and Thursday. What’s the typical day on safari in Ruaha like? 06h00 – Depart on morning activity. We recommend doing walking safaris in the morning as after about 9:00 temperatures will get too hot to walk. 08h00 – Breakfast somewhere in the bush! 19h00 – Return from afternoon activity and relax with drinks before dinner.